One of the many advantages of the Follicular Unit Excision (FUE) hair transplant technique – developed and implemented by Dr. Paul Rose of the Miami Hair and Skin Institute – is that healing tends to be faster and involves fewer post-operative limitations than other hair transplant methods. But it is important to remember that hair transplant surgery is, in fact, surgery. As with any surgery, there will be some things you can’t or shouldn’t do in the days and weeks after your procedure as your body recovers and heals. With hair transplant surgery, you should be able to return to work within a day and resume most day-to-day activities in a week to 10 days. But when it comes to how you treat your newly transplanted hair follicles, caution, care, and patience are key to ensuring optimal results. This includes waiting a bit before coloring your transplanted hair. It’s not that you won’t be able to use gels, dyes, colors, straighteners, and similar treatments – you will – it’s just that you need to hold off a bit before you do so. That’s because your transplanted hair follicles will be more sensitive and prone to damage than your existing hair. The chemicals, bleach, and peroxide in most hair coloring treatments are particularly harsh, and if you use them on follicles which have yet to take hold and develop their own blood supply, you can be sending those follicles to an unfortunate and avoidable demise. That said, your transplanted hair will eventually become as strong and resilient as the rest of your follicles if it is allowed to recover and start growing in peace for a bit after surgery. Therefore, you should wait at least one month before considering coloring your hair or using styling gels and blow dryers. Of course, you should always follow the specific post-operative instructions your hair transplant surgeon gives you. If you have questions or concerns about resuming the use of hair coloring or any other styling products or techniques, don’t hesitate to ask your physician. 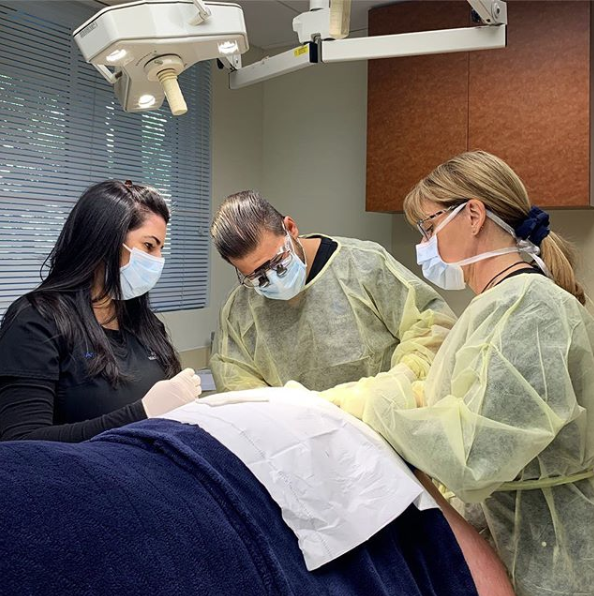 They will want your hair transplant to be as successful as you do and will be happy to work with you after your surgery to make sure you take all the steps and precautions necessary to maximize your results. If you want to learn more about the FUE hair transplant technique and post-operative care, or if you are ready to take the first step on your hair restoration journey, we invite you to contact us at the Miami Hair and Skin Institute. To receive a personalized evaluation and treatment plan, contact us online or call our office directly at 305-925-0222. At the Miami Hair & Skin Institute, Our award-winning surgeons are renowned for their mastery in the field of hair restoration. But they are also committed to staying at the cutting edge of technological innovation. Perhaps the best example of our leadership when it comes to the use of advanced technology has been our pioneering work with the ARTAS system, which provides unmatched precision in hair transplantation. We do approximately 200 ARTAS cases a year and are NUMBER ONE in the Eastern United States in procedures performed. Now, we continue this proud tradition with the introduction of the latest advancement in precision hair restoration: the ARTAS iX™ Robotic Hair Restoration System. Our own Dr. Paul Rose, MD recently gave a presentation at the South Beach Symposium in Miami about this technology and how it dramatically moves the needle on how natural- looking the results of hair transplant surgery can be. 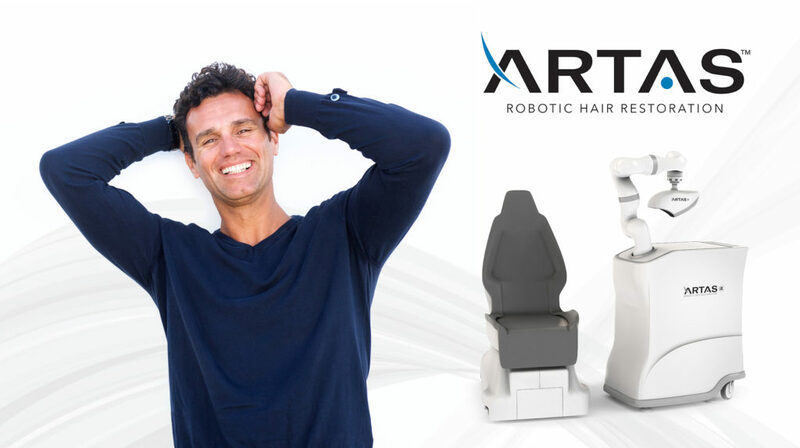 ARTAS iX is the only hair restoration solution which utilizes machine-based vision, machine learning, and artificial intelligence to provide precise, minimally-invasive, repeatable harvesting and implantation functionality in one compact system. It is the first and only physician-assisted system that can dissect and assist in the harvesting of follicular units directly from the scalp, create recipient implant sites using proprietary algorithms, and implant the hair follicles into the designated sites. The system is equipped with a 3D-camera stereoscopic vision system with improved 44-micron resolution and a 7-axis robot arm to deliver unmatched procedural analysis, precision, repeatability, and clinical workflow efficiency. How is ARTAS iX Used in Hair Restoration Surgery? When performing a follicular unit extraction (FUE) procedure with the ARTAS iX, the surgeon loads 25 harvested grafts at a time into rectangular cartridges. He or she will then insert the cartridges into the arm of the robot that implants the grafts directly into the scalp. A significant advantage of using cartridges, rather than a manual technique, is that the grafts are more delicately handled, reducing the risk of graft injury. When surgeons implant grafts manually, they typically grasp the follicles by the bulb, or just below the sebaceous glands, and then bring them into the incision risking considerable damage to the follicles while doing so. With ARTAS iX, grafts are held at the epidermal end and then gently placed into the cartridge. This eliminates unnecessary and avoidable injury to the growth of the transplanted hair by avoiding the lower and mid-portions of the follicles. The hair restoration physician uses the ARTAS iX to digitally create a recipient site plan that communicates directly with the robot. The surgeon programs the specific size, distribution, density, direction, and angle of the sites for the follicular unit grafts. The ARTAS iX’s vision system identifies where the grafts will be placed and leads the robotic arm into position. Once the system automatically orients itself over the patient’s recipient area, implantation begins. The ARTAS iX can implant up to 500 grafts per hour, making it as efficient as it is precise. Learn More About the ARTAS iX at the Miami Hair & Skin Institute. Call Today For Your Personalized Evaluation. We are proud to offer our patients the benefits of ARTAS iX technology and are among the first clinics in the United States to do so. This is just the latest way that the Miami Hair & Skin Institute continues to lead the way in hair restoration. Our Drs. Nusbaum and Rose are internationally acclaimed hair restoration surgeons with more than 40 years of combined experience. To receive a personalized evaluation and treatment plan, contact us online or call our office directly at 305-925-0222. When it comes to hair loss solutions, one size definitely does not fit all. 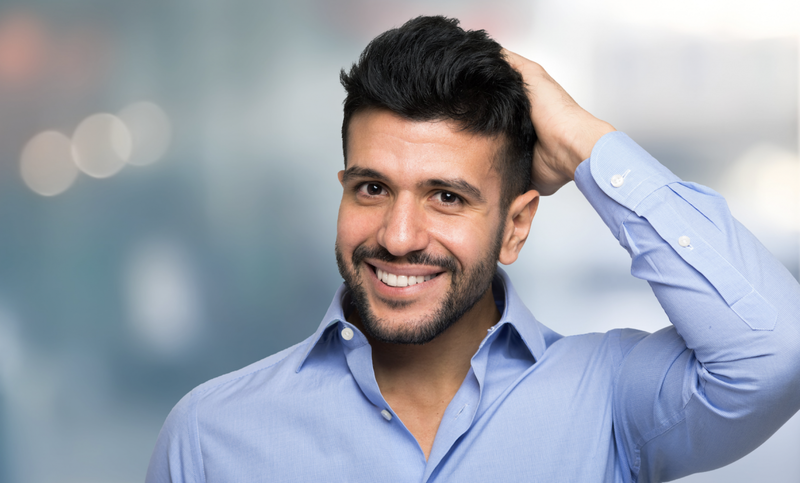 Depending on several factors unique to each patient, including the underlying causes, nature, and progression of hair loss, your hair restoration doctor may recommend one of several different treatment options, including hair transplant surgery. But your physician won’t suggest a transplant as the best solution for you unless he or she believes that you are ready to undergo the procedure and have the characteristics that make you a good candidate for the surgery. You’re old enough. Many people start to experience hair loss at a young age; even children and teenagers can see the early signs of permanent hair loss. But while young people are still growing and maturing, the full extent and pattern of their hair loss may not be discernable. 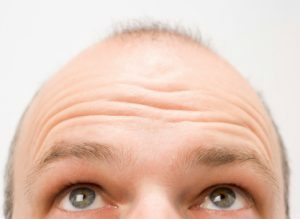 For hair loss surgery to deliver optimal results, the physician must be able to identify the individual patient’s unique hair loss pattern, so that he or she may transplant hair to the balding and thinning areas in a way that leaves behind a natural-looking hairline. That is why we only recommend a transplant as a potential treatment for individuals 18 and older, though we may suggest waiting even longer in some cases. You have enough donor hair. You can’t have hair transplant surgery unless you have hair to transplant. Unlike organ transplants, hair transplants involve the use of your own hair. We take hair follicles from areas on the back or sides of your head and transplant them to the treatment area, where they will continue to grow. Both male and female hair replacement candidates need robust hair growth in the donor area at the back of the head for transplant surgery to be a viable treatment for hair loss. Your hair loss is permanent. Not all hair loss is forever. Sometimes, excessive hair shedding is a seasonal or temporary issue caused by factors such as stress, hormonal changes, and other environmental or biological factors. If your doctor’s assessment is that your hair loss fits this category and that healthy hair growth is likely to resume, a transplant is not an appropriate choice for addressing the issue. Hair transplant surgery is reserved for those suffering from permanent hair loss, such as male pattern baldness. Ready to Fix Your Hair Loss Problems? Schedule Your Hair Loss Evaluation Today. You will only truly know whether you are ready for a hair transplant after consulting with a hair restoration surgeon. At the Hair Transplant Institute of Miami, we evaluate each hair loss patient with a comprehensive and proven methodology to determine the cause of hair loss and choose the most effective treatment option. To schedule your personalized hair loss evaluation, contact us online or call our office directly at 305-925-0222. If you’ve invested a lot of money in razor company stocks, you may want to consider adjusting your portfolio. The increasing popularity of beards and more accommodating societal attitudes towards facial hair are doing to shaving what smartphones did to wristwatches. What was once a part of almost every man’s daily life is becoming an irrelevant and unneeded relic of the past. This big trend towards a little more scruff is no illusion, nor is it just a fad for hipsters and members of ZZ Top. According to CNN, the number of times men shave per week is down from 3.7 to 3.2 over the past decade, amounting to two fewer shaves a month. This, understandably, has led to a downturn in the sales of razors and shaving products. Sales of manual razors and blades plummeted 5.1 percent in the United States in 2018, and razor giant Gillette reported a 24-percent decrease in sales. Of course, beards need to be maintained and trimmed, so declining sales of razors have been offset by increasing demand for trimmers and beard-grooming products; Gillette’s trimmer sales grew 4.2% from mid-July 2017 to 2018, according to Nielsen data. Millennials and men under 45 have taken the lead in the growth of beard growth, as more people work from home and offices have become more casual in dress and appearances. Aside from a beard’s appearance, eliminating shaving every day (or altogether) is undoubtedly a time-saver and spares those with sensitive skin from the irritation that often comes with regular shaves. Of course, not all men who want to grow a beard can do so. Genetics often stand in the way of a man’s ability to grow facial hair. Fortunately, those who want to jump on the beard bandwagon can get help from advancements in beard transplant technology and techniques. 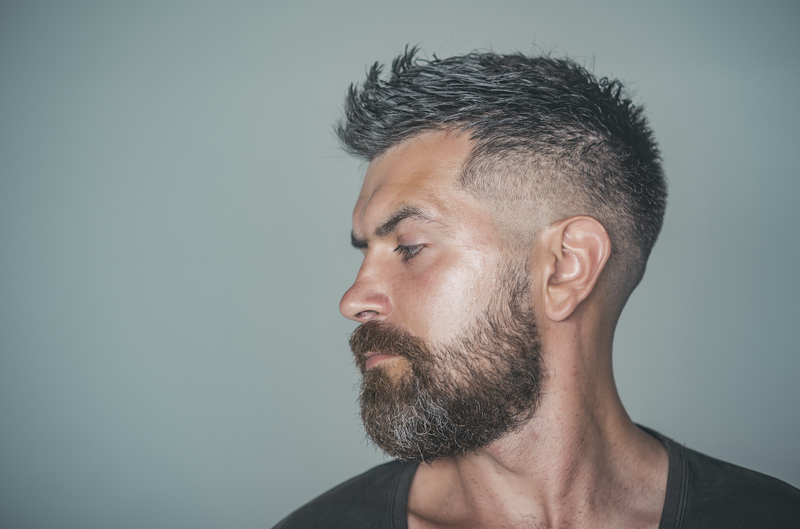 Beard transplants involve a procedure very similar to the primary technique we use to restore hair on the scalp – Follicular Unit Extraction (FUE). Using FUE, a hair transplant surgeon will extract donor hair from the back and sides of the scalp. He will make small incisions throughout the beard area and transplant the follicles. Once he does so during a procedure which should take less than a day, the patient will leave the surgeon’s office with a beard. Once grown in, you can treat those permanent whiskers as if they were your own naturally grown ones, because they were. You can shave, trim, and clean your beard as if it had been there for years. To learn more about beard transplants at the Hair Transplant Institute of Miami or to receive a personalized evaluation to determine if you are a good candidate for the procedure, contact us online or call our office directly at 305-925-0222. 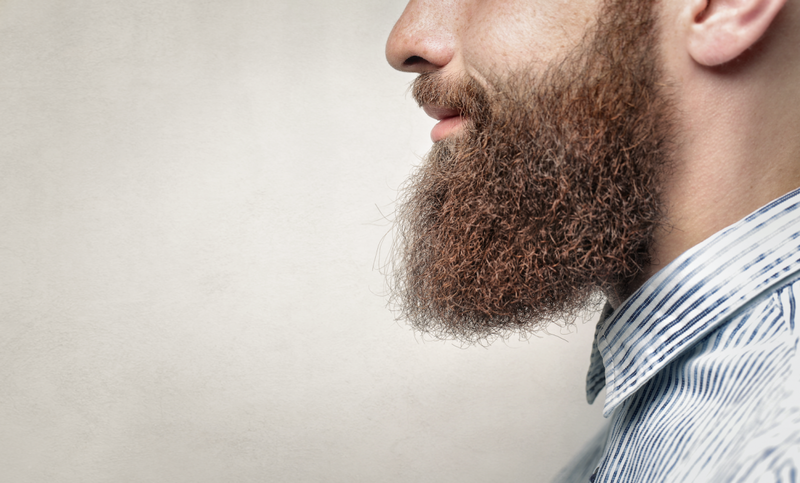 Beards – they’re not just for hipsters and members of ZZ Top anymore. An increasing number of men are sporting facial hair. But not every guy who wants to grow a beard can do so. As with hair growth on the scalp, genetics can put a roadblock between you and your ability to grow hair on your face. Fortunately, the same technology and techniques that have restored full, natural, and healthy looking hair to hundreds of thousands of men can help guys grow beards as well. Like hair transplants, beard transplants facilitate the growth of facial hair in men who can’t grow a full beard on their own. Where Does the Hair Used in a Beard Transplants Come From? 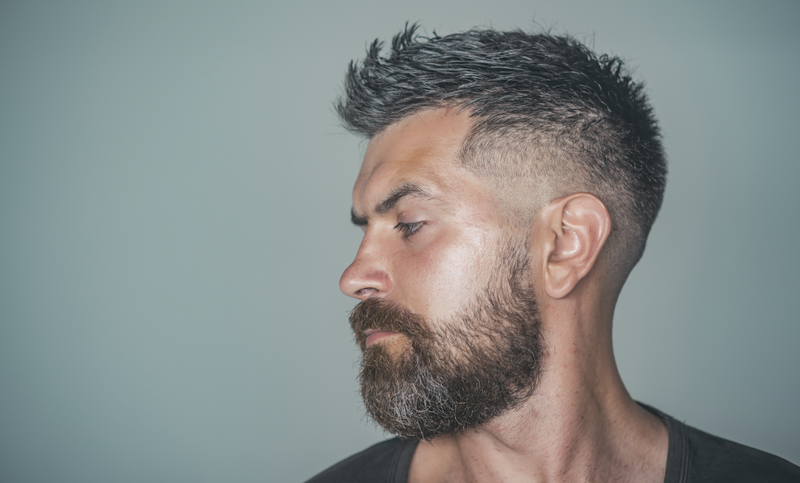 Beard transplants involve a procedure very similar to the primary technique we use to restore hair on the scalp – Follicular Unit Extraction (FUE). Perhaps the world’s most widely used hair transplant method and one pioneered by our very own Dr. Paul Rose, FUE is a minimally invasive way to remove and transplant individual hair follicles for natural-looking results. 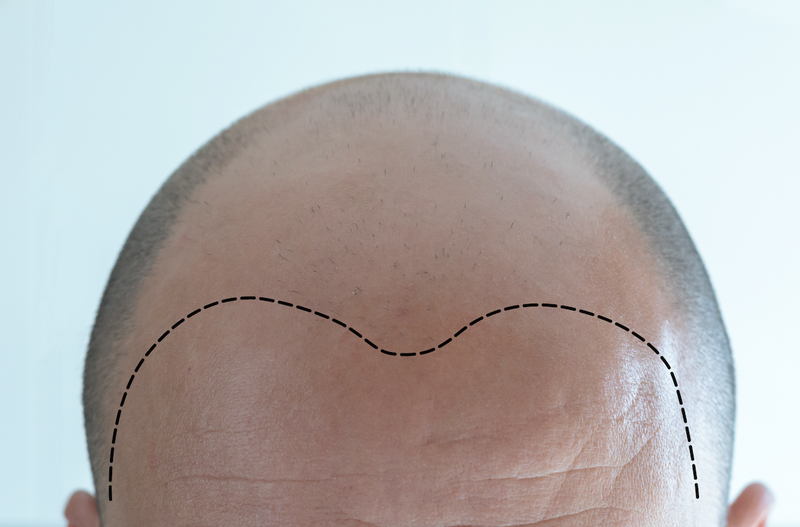 Using FUE, your hair transplant surgeon will extract donor hair from the back and sides of your scalp with a circular needle called a “punch.” The “extraction” part of FUE involves removing follicular units from the donor area in a scattered pattern to eliminate the linear scar associated with traditional donor strip harvesting. 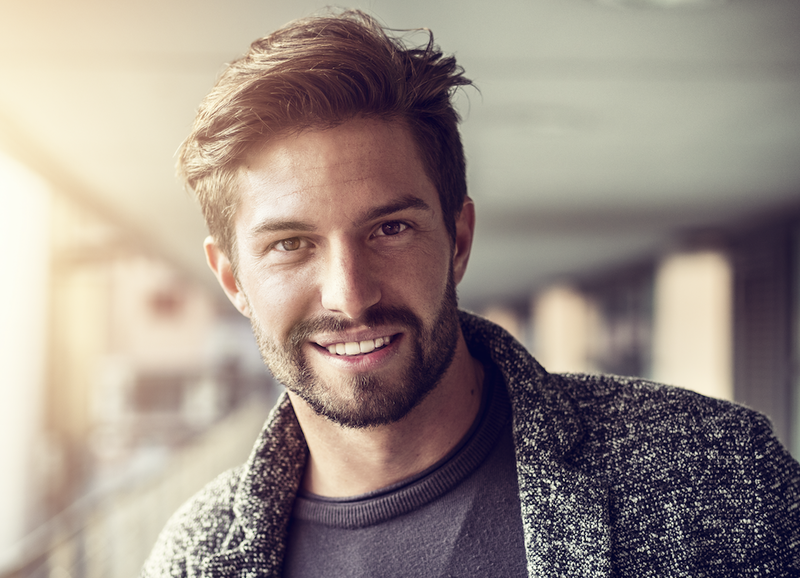 To achieve the appearance of a full beard, a significant number of hair grafts need to be extracted from the donor area – roughly between 2,500-3,000 individual grafts. If you are only looking to fill in some patchy spots or grow a goatee, you won’t need as many grafts as you would for an entire beard. How Are Donor Hairs Transplanted in a Beard Transplant? Once your surgeon extracts the donor hair, he will make small incisions throughout your beard area. These incisions will determine the density, direction, and angle of your beard growth. The precision and quality of the incisions play a significant role in the quality and appearance of your beard, so your surgeon’s skills and attention to detail are of the utmost importance. How Long Does a Beard Transplant Take and How Long Will It Last? Once your surgeon transplants your hair follicles, a procedure which should take less than a day, you will leave your surgeon’s office with a beard. But prepare yourself for the likelihood that the transplanted hairs will likely fall out within two to three weeks after your transplant surgery. This is no cause for alarm or a panicked call to your surgeon. The loss of these hairs is perfectly normal and expected. Within a couple of months, however, those hairs will grow back permanently and you will have the full beard you wanted. Are You a Good Beard Transplant Candidate? As with any hair transplant surgery, beard transplants require a sufficient number of donor hairs, so patients who are thinking about a beard transplant need to consult with their surgeon to determine whether they have enough transplant-ready hairs and are a good candidate for the procedure. To learn more about beard transplants at the Hair Transplant Institute of Miami or to receive a personalized evaluation and treatment plan, contact us online or call our office directly at 305-925-0222. Can I Have a Guarantee For My Hair Transplant? There are few, if any, guarantees in life. No one can predict the future, and no one can honestly promise you that everything will go as planned. That said, if you want a particular outcome or result, there are almost always things you can do to increase the odds of things going right. Exercising, eating well, and living a healthy lifestyle can significantly increase your chances of living longer, for example, but it is no guarantee that you actually will. The same goes for any type of medical procedure, especially surgery. If you were about to undergo open-heart surgery, your doctor can give you a prognosis, can tell you how he or she thinks things should go, but they ethically cannot and should not promise you that everything will go perfectly. But if the doctor you chose for your operation is one of the best in the world, is well-known for their skills and talents, and has successfully performed this kind of surgery thousands of times, you’ll feel a lot more confident about the likelihood of a good result. At the Hair Transplant Institute of Miami, we don’t offer guarantees regarding the outcome of hair restoration procedures. We can and do guarantee, however, that you will receive unmatched personal attention care from two of the world’s most acclaimed and recognized hair transplant surgeons; doctors whose work can be seen on the heads of thousands of satisfied patients in Florida and around the globe. Drs. Bernard Nusbaum and Paul Rose developed and use an innovative and comprehensive approach for evaluating and treating patients with hair loss while providing the very latest in surgical procedures and techniques at our state-of-the-art facility. Both doctors are widely recognized and acclaimed leaders in the field of hair restoration surgery, developing the cutting-edge methods which have since become standard around the world. Each brings over twenty-five years of experience and professional expertise and have successfully performed tens of thousands of procedures. Choosing the right hair restoration professional or hair transplant surgeon can be the best guarantee that you will be pleased with the outcome of your procedure. In South Florida and elsewhere, there is no shortage of doctors, clinics, or other companies that hold themselves out as being the solution to your hair loss problems. Make sure you make the right decision by knowing what to look for and what questions to ask. When you arrange for an initial consultation at hair loss clinic, make sure you are meeting with a doctor, not simply someone referred to as a “consultant.” Then feel free to ask the physician some or all of these 15 questions to learn more about their experience, qualifications, and approach. Once you have found the doctor who makes you feel comfortable and confident, they will recommend the hair restoration technique best suited for your specific needs and goals. When you decide to do something about your hair loss and schedule an appointment at the Hair Transplant Institute of Miami, we guarantee that you will receive a thorough and personalized hair loss evaluation using our comprehensive and proven methodology. This can include obtaining a detailed medical history, performing an in-depth scalp examination using advanced diagnostic tools and, if needed, performing blood tests to detect any underlying imbalances or deficiencies that may be contributing to the hair loss problem. With this information, we can determine the cause of hair loss and choose the treatment option designed to achieve optimal results. All surgeries, whether it be a minor outpatient patient procedure or a heart bypass operation, involving recovery and healing time after the surgery is completed. How much time it takes and the post-operative steps needed to ensure that healing is as quick as possible will depend on the nature and complexity of the procedure. The same goes for hair transplant surgery. Different hair transplant techniques involve different ways of extracting hair from the donor area which the surgeon will then transplant into balding or thinning areas of the scalp. In turn, each extraction method will leave behind donor areas which experience unique post-operative conditions and lengths of recovery. Every hair transplant patient wants to heal and get back to the normal activities of as quickly as possible, with as little visible evidence of their surgery as can be achieved. Fast healing, fewer post-operative limitations, and minimal scarring are three of the biggest reasons that the Follicular Unit Extraction (FUE) hair transplant technique – developed by the Hair Transplant Institute of Miami’s Dr. Paul Rose – is such a popular choice among those seeking to restore their hair. During an FUE transplant using the ARTAS® Robotic Procedure, we remove follicular units on the back and sides of the scalp one-by-one with a one-millimeter punch device and a head positioning device designed to minimize movement. With FUE, patients can completely avoid a more obvious linear scar often associated with “strip” harvesting of the donor area. Instead, scarring occurs in a dot-like pattern and is virtually undetectable after healing and regrowth. The minimal scarring means that patients can wear their hair quite short (but not completely shaven) without any evidence that a procedure has been done. Minimal scarring in the donor area after an FUE procedure translates into faster healing than other transplant methods. You should be able to return to work and engage in your regular activities in a matter of days. But ensuring that healing proceeds as quickly as it can require care and caution on the patient’s part. If you follow your doctor’s post-operative instructions and avoid actions that could jeopardize your body’s natural healing process, you could unnecessarily delay your recovery. Avoiding alcohol for at least three days after your procedure. Do not jog, cycle or lift weights within three days of surgery. Vigorous exercise or heavy lifting should also be avoided for at least one week. Waiting at least 24 hours after your procedure before washing your hair. Avoiding brushing for as long as possible, and don’t use hot styling tools for at least a week. If you want to learn more about the FUE hair transplant technique, have other hair loss questions, or are ready to take the first step on your hair restoration journey, we invite you to contact us at the Hair Transplant Institute of Miami. To receive a personalized evaluation and treatment plan, contact us online or call our office directly at 305-925-0222. Every December 31, the holiday season concludes with promises we make to ourselves about how we’re going to do things differently when the calendar turns to the new year. We’re going to lose weight, start exercising, stop smoking, be more grateful, or make ourselves better in some other way. If you are one of the millions of men and women who experienced hair loss in 2018 (and 2017, 2016, 2015…), consider making 2019 the year that you get back the full, youthful looking head of hair you once had. 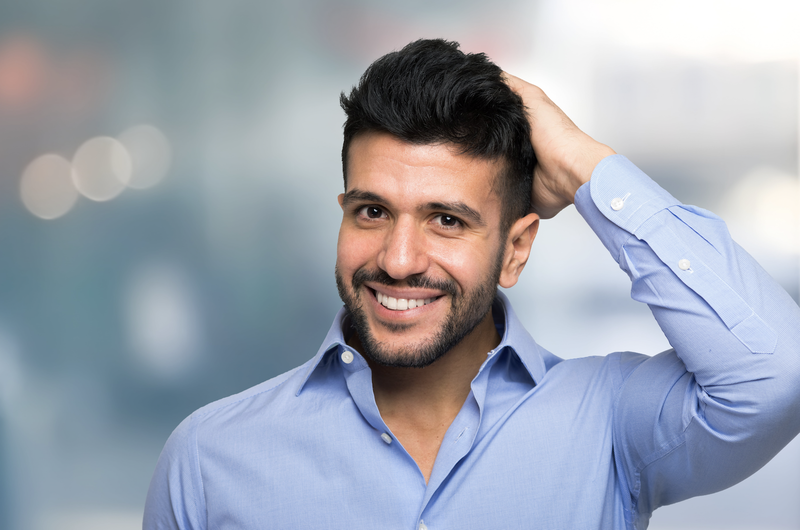 At the Hair Transplant Institute of Miami, we may not be able to turn back time, but we can turn your hair into a source of confidence and pride rather than something to worry about or be embarrassed by. Our world-renowned hair transplant surgeons are masters of the art and science of hair restoration. At our welcoming and comfortable facility, you’ll find experienced professionals who are committed to finding the optimal solution for your hair loss issues. 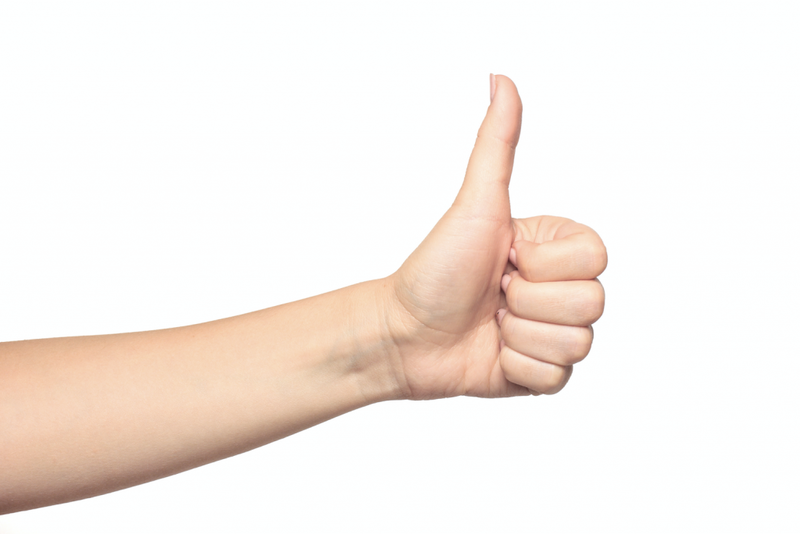 We offer patients a range of treatment options tailored to their specific concerns and goals. These can include the most advanced hair transplantation procedures available, other revolutionary treatments such as stem cell therapy, and non-invasive treatment options such as medication and low-level laser therapy. All of our therapies, treatments, and procedures are safe, proven, and effective, and thousands of men and women in South Florida and around the country offer living proof of our exceptional work. We see ourselves as true partners with our patients as they begin and continue their hair restoration journey. We provide assistance and guidance for those struggling with the psychological impact of hair loss. We also help our patients make lifestyle changes – such as stress reduction and healthier diets rich in hair-strengthening nutrients – that can slow hair shedding and promote the retention and growth of healthy, resilient hair. You may have tried shampoos, medication, or other home efforts to slow down or reverse your hair loss with no success, or maybe you’ve done nothing at all. There is no time like the beginning of the year to finally do things differently. By taking action, you’ll improve your self-esteem and overall sense of wellness, and you will feel a sense of pride in successfully addressing a problem that had likely been bothering you for a long time. The first step is a phone call to our office to schedule a hair loss consultation at the Hair Transplant Institute of Miami. At your initial evaluation, you’ll meet with a doctor, not merely a “consultant.” We will evaluate your hair loss using a comprehensive and proven methodology, obtain a detailed medical history, perform an in-depth scalp examination using state-of-the-art diagnostic tools and if indicated, use blood tests to detect any underlying imbalances or deficiencies that may be contributing to the hair loss problem. With this information, we can determine the cause of hair loss and the most effective treatment option. To ring in 2019 on a positive and hopeful note, schedule your personalized hair loss evaluation at the Hair Transplant Institute of Miami today by contacting us online or calling our office directly at 305-925-0222. Happy New Year! For many men starting to face the reality of hair loss, a receding hairline is the first, most apparent sign that a problem exists. You may not easily see an expanding bald spot on the top of your head, but that ever-growing forehead stares back at you every time you look in the mirror. If you want to diminish the appearance of your receding hairline, you can talk to your barber or hairstylist about looks that can do so, much in the same way that dark clothes or vertical stripes can hide an expanding midsection. But changing your wardrobe doesn’t make those extra pounds go away, and a new hairstyle won’t stop your hairline from creeping further back on your head. If you genuinely want to address your receding hairline, you need to do more. That more often takes the form of a hair transplant. The advanced surgical hairline restoration techniques we use at the Hair Transplant Institute of Miami have helped thousands of men regain the natural-looking hairline they once had. There are two primary approaches we take for hairline restoration. Both are safe, effective, and implemented by two of the most acclaimed leaders in the field, Dr. Bernard Nusbaum and Dr. Paul Rose. Follicular Unit Extraction (FUE) is a minimally invasive method of transplanting individual hair follicles into the hairline area. We perform FUE procedures using the advanced ARTAS system, which restores your hair by transplanting permanent hair from the back or side of the head into thinning areas, including the hairline. The ARTAS system to digitally scans areas of the scalp, identifying hair in its natural groupings. Selected follicles are then precisely removed, using the ARTAS system’s image-guided robotics. Most of your hair is left untouched so that the area retains its natural appearance. We then transplant the hairs near the hairline, where the transplanted hair will then grow naturally on the hairline just as it did before. At the Hair Transplant Institute of Miami, our commitment to innovation has led to our development of a novel advancement in hairline restoration hairlines and other hair loss issues: Mosaic® Hair Restoration. The Mosaic procedure consists of designing the recipient area in an individualized manner, mimicking each patient’s unique follicular unit arrangement pattern. This approach ensures a personalized follicular pattern, so each patient receives the most natural hairline outcome. In practice, our surgeons obtain several magnified images of the patient’s scalp in areas unaffected by the balding process. We analyze the images to tabulate the percentages of one, two or three hair follicular units and determine their topographical arrangement unique for that patient. This data is then used for creating a personalized, natural hairline. If you are concerned about your receding hairline and are ready to do something about it, we invite you to schedule a hairline evaluation at the Hair Institute of Miami. Our doctors are specialists in creating natural hairlines and have written ground-breaking papers for peer-reviewed journals on the subject.